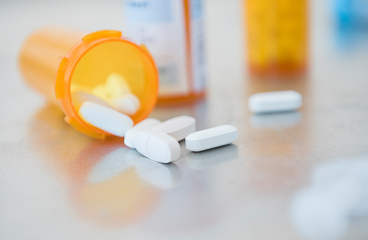 You have had treatment to help your body recover from taking too much of an opioid medicine. You are getting better, but you may not feel well for a while. It takes time for the medicine to leave your body. How long it takes to feel better depends on which drug you took and how much you took of it. Opioids include illegal drugs such as heroin, often called smack, junk, H, and ska. Opioids also include medicines that doctors prescribe to treat pain. These are medicines such as oxycodone, methadone, and buprenorphine. They are sometimes sold and used illegally. Given you a medicine called naloxone to help reverse the effects of the opioid. Done several tests, including blood tests, to monitor your condition. If you take opioids regularly, your body gets used to them. This is called dependency. If you are dependent on this drug, you may have withdrawal symptoms when you stop taking it. These can include nausea, sweating, chills, diarrhea, stomach cramps, and muscle aches. Withdrawal can last up to several weeks, depending on which drug you took and how long you took it. You may feel very ill, but you are probably not in medical danger. If you had a tube in your throat to help you breathe, you may have a sore throat or hoarseness that can last a few days. Sip liquids to help soothe your throat. Do not drink alcohol or take illegal drugs. Do not take medicines that make you feel tired, like sleeping pills or muscle relaxers. Do not drive if you feel sleepy or groggy while you recover from your overdose. Get help to stop using drugs. Talk to your doctor about drug treatment programs. Talk to your doctor or pharmacist about a take-home naloxone kit. Your doctor or pharmacist can show you how to use it. You can get naloxone without a prescription at most drugstores or through a community Take Home Naloxone program. Enter V889 in the search box to learn more about "Opioid Overdose in Teens: Care Instructions".